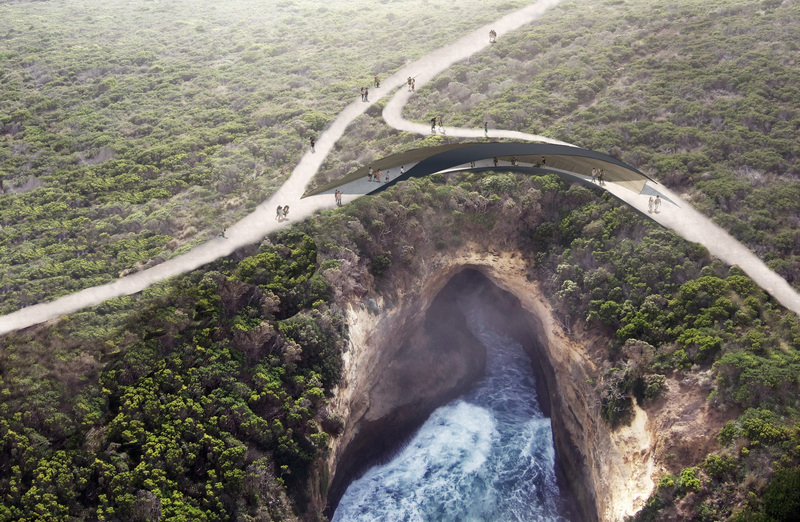 Tell us what you think about the concept designs for new lookouts at Twelve Apostles Saddle and Loch Ard Precinct Blowhole and pedestrian bridge at Port Campbell Creek. The Engagement Summary Report presents the broad range of values, ideas and aspirations provided by community members and stakeholders during the engagement period, from May to June 2018. The feedback has been collated and categorised, to understand topics, themes, demographics and levels of support using both qualitative and quantitative analysis techniques. Community members were encouraged to review the designs and provide feedback from online and face-to-face engagement activities. The project team will consider the findings from this report during the schematic design stage. Parks Victoria wishes to thank participants who generously shared their time, research, values and ideas through this engagement process. 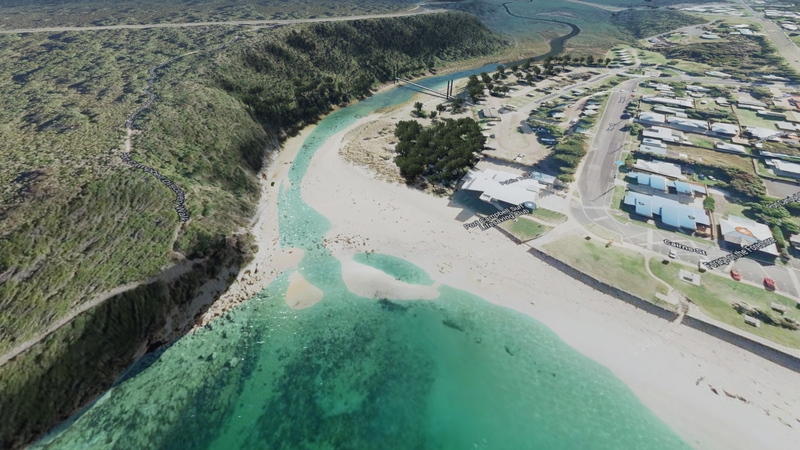 A report of the engagement results, Engagement Summary Report – Shipwreck Coast Master Plan – Stage One July 2018, is available to download from the document library. 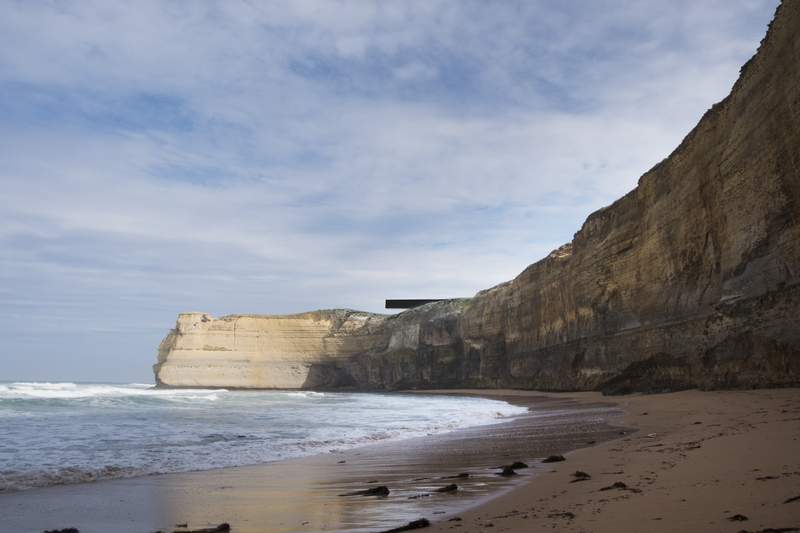 Parks Victoria is working with the Victorian Government to deliver the Shipwreck Coast Master Plan, which is a comprehensive program to protect the coast and improve visitor opportunities, highlighting the importance of the region for Victoria’s tourism economy. 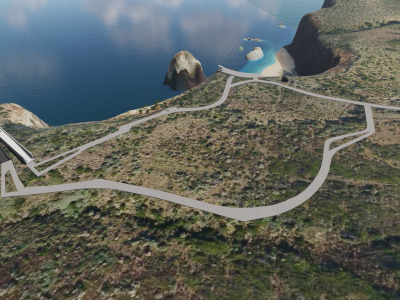 Stage One consists of a series of projects funded for $9.8 million, including three infrastructure projects within Port Campbell National Park and a digital upgrade at the Twelve Apostles. 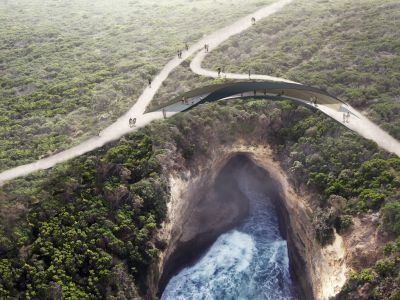 The projects include new world class lookouts at the Twelve Apostles Saddle and the Blowhole within the Loch Ard Precinct, as well as a new pedestrian bridge over Port Campbell Creek in the Port Campbell township. Parks Victoria has been working in close association with project partners including local and state government, as well as the Traditional Owners, Eastern Maar Aboriginal Corporation, to develop the three projects. Through an extensive Request for Tender process, Parks Victoria recently appointed architects Denton Corker Marshall (in partnership with landscape architects McGregor Coxall and Arup) to design the three infrastructure projects. Each site has undergone significant technical investigations to understand the geological, environmental and cultural heritage opportunities and constraints. These have directly informed the development of each design and further information can be found in the fact sheets. Parks Victoria is seeking feedback on elements of the concept designs which includes the following infrastructure. Perched on the limestone saddle, this new lookout aims to provide an unforgettable visitor experience by unveiling a spectacular view of the iconic Twelve Apostles. 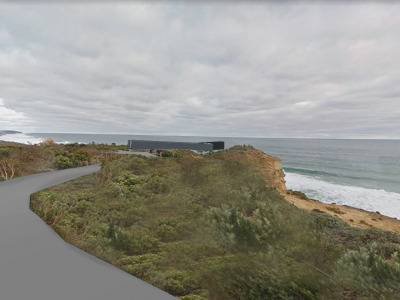 The proposed Saddle Lookout is two long rectangular black and white blocks with one resting on the saddle and the other cantilevered towards the sky. 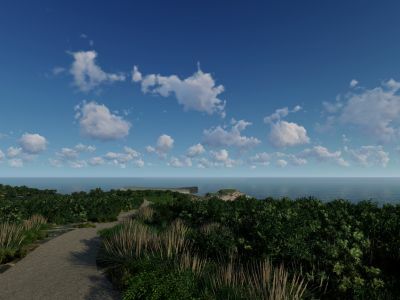 The view is hidden when visitors enter and as they continue through the lookout, the view of the coastline is revealed. The design has been informed through engagement with the Eastern Maar Aboriginal community and the lookout's situation, forms and expression are designed to be a contemporary reflection of cultural heritage. 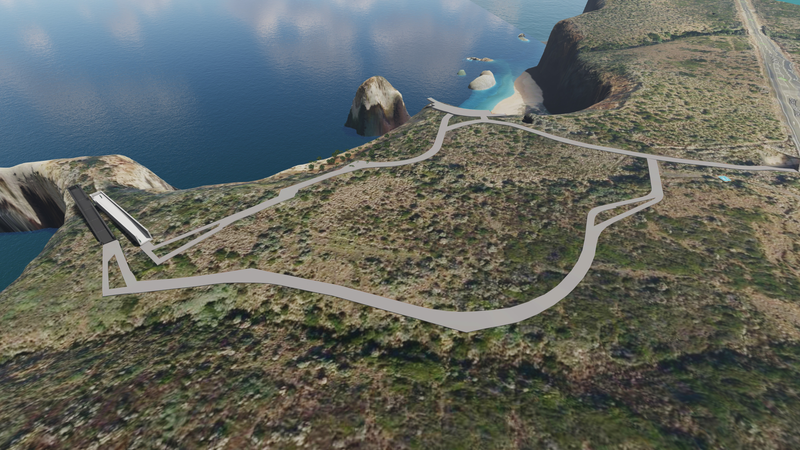 The new lookout will be complemented by a one-way circuit loop walking track with rest stops. 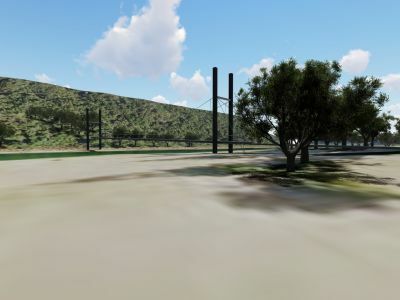 The track will be shrouded in vegetation, meaning visitors are more protected from the weather and can enjoy an intimate experience, focussing on the native flora of the area and cultural heritage. In order to construct the new Saddle Lookout, the Castle Rock Lookout will be removed and the area revegetated. 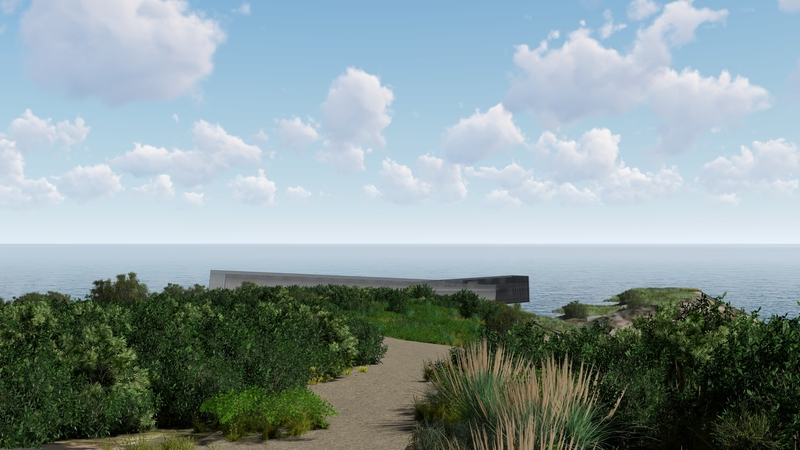 Located in the Loch Ard precinct, the Blowhole Lookout is designed to provide a new visitor experience, respecting the environmental and cultural characteristics of this tucked away site nestled amongst native vegetation. The lookout is subsumed into the landscape and curves around the edge of the blowhole. 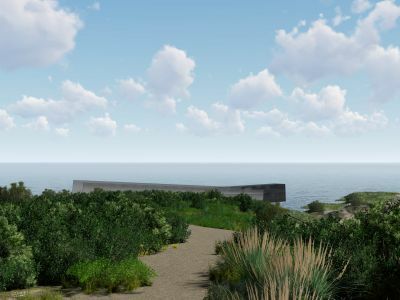 Improved access tracks aim to conceal and reveal views so visitors experience the blowhole and native vegetation from a range of locations and perspectives. 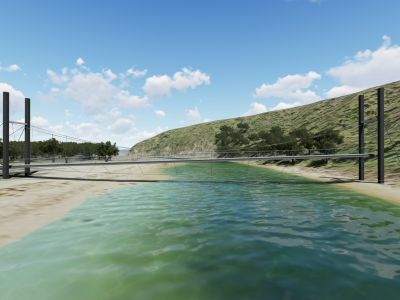 The new suspension bridge will provide a walking connection over Port Campbell Creek. It is designed to have minimal visual and physical impact, using materials that blend into the natural landscape. The wire cabling of the bridge maximises uninterrupted views along the creek. 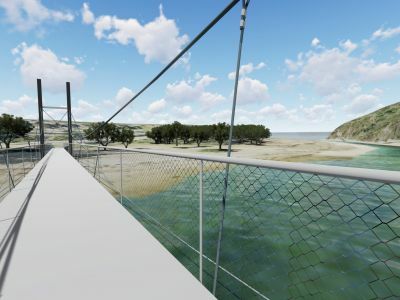 The pedestrian bridge will connect a new boardwalk path on the Port Campbell township side that wraps around the dunes to the Port Campbell foreshore. The boardwalk will have resting points for users to sit and enjoy the view. The bridge will facilitate a year round connection from Port Campbell to the Discovery Trail and Port Campbell National Park. Parks Victoria acknowledges the Eastern Maar Peoples as the Traditional Owners of Country through which the Shipwreck Coast travels. We pay our respects to their ancestors and Elders, past and present. We recognise and respect their unique cultural heritage, beliefs and relationship to their traditional lands, which continue to be important to them today. 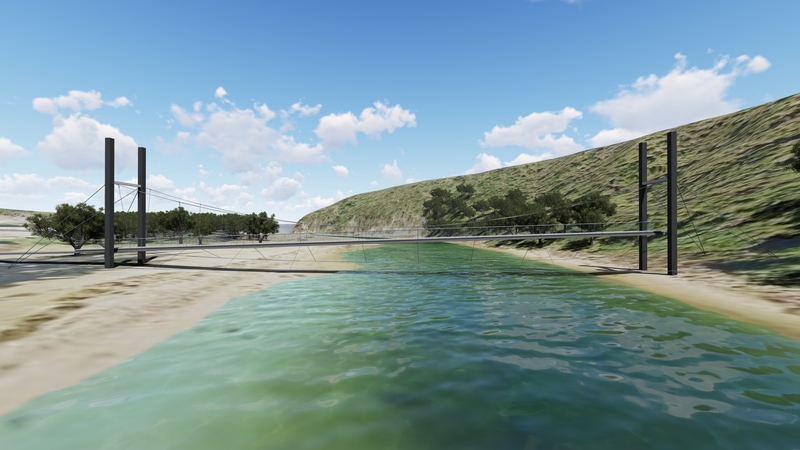 These images provide a range of views of the proposed concept designs for the Saddle Lookout, the Blowhole Lookout and Port Campbell Creek pedestrian bridge. The time period for contributing to this survey has now closed. Thank you. 1. What is your interest in the project? 4. What part of the Saddle Lookout design and associated additional walkways and viewing/resting areas do you think could be improved? What elements of the design would you change or keep the same and why? 5. 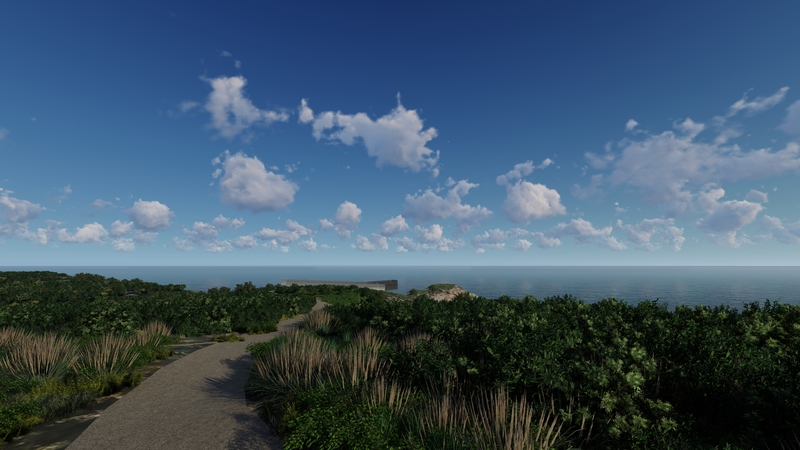 How do you think the Saddle Lookout will change the visitor experience of the Twelve Apostles? 6. 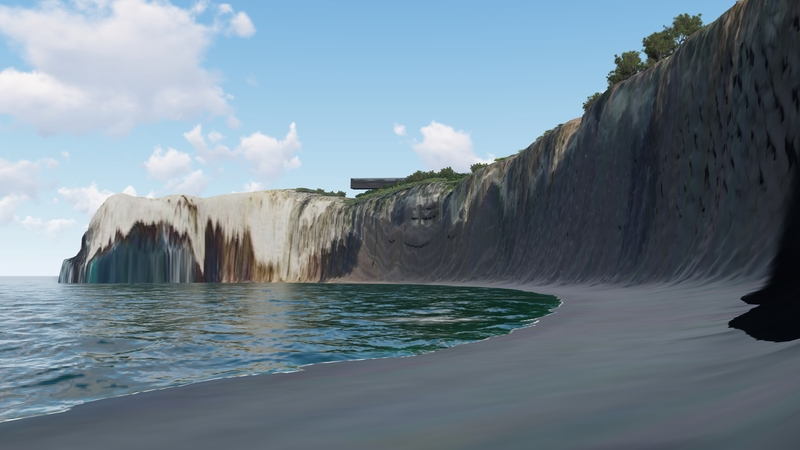 What part of the Blowhole Lookout design do you think could be improved? What elements of the design would you change or keep the same and why? 7. 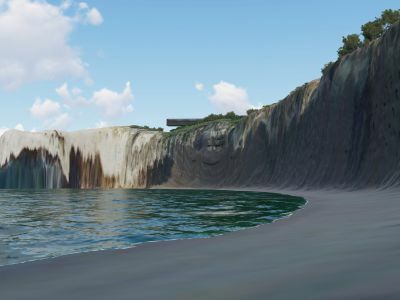 How do you think the Blowhole Lookout will change the visitor experience? 8. 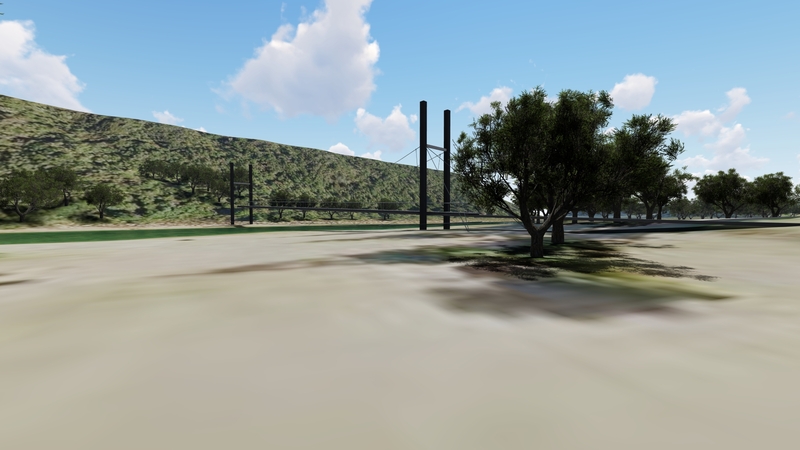 What part of the Port Campbell Creek Bridge design do you think could be improved? What elements of the design would you change or keep the same and why? 9. 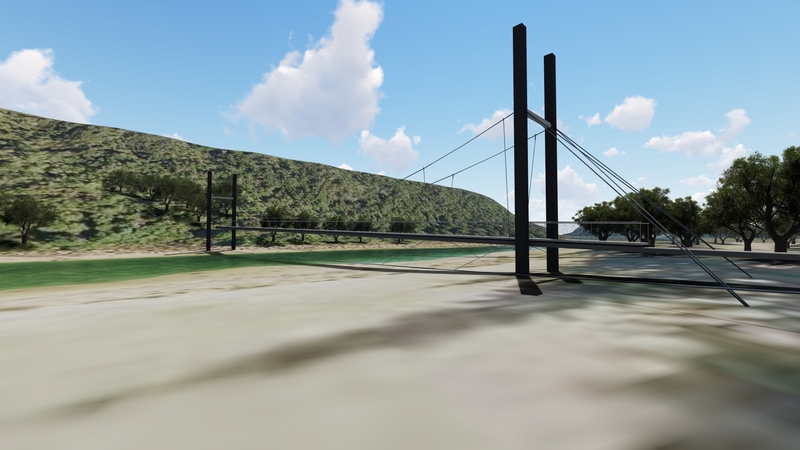 What materials would you like to see used on the Port Campbell Creek Pedestrian Bridge? 10. Would you prefer more structural cables around the bridge to reduce the movement if it meant compromising on the low visual and physical impact design approach? What would be your preference? Why? 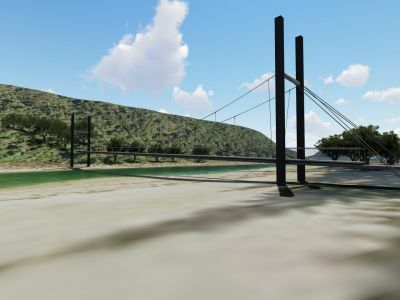 Adopting a low visual and physical impact design approach for the Port Campbell Creek Pedestrian Bridge means there will be some movement when pedestrians cross, which is typical for suspension bridges. Keep in mind, there will be no difference to the safety of the bridge. 11. Do you have any feedback on the proposed Port Campbell Creek Pedestrian Bridge pathway route and materials, limestone path and resting points? 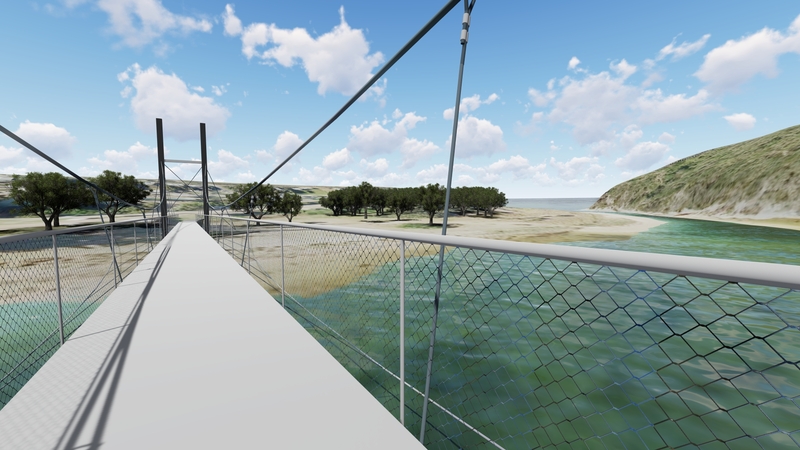 The design concepts propose an accessible pathway on the Port Campbell side of the bridge that will be located around the front of the dune vegetation connecting to the surf club forecourt and providing access for all abilities. On this pathway, there is scope to incorporate two resting point areas with seating. 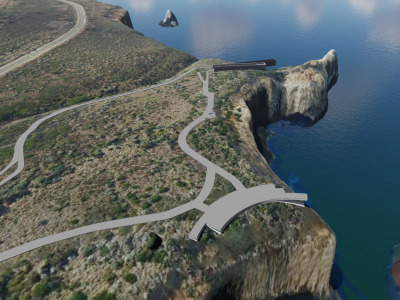 On the Port Campbell National Park side of the bridge, the design concepts propose a limestone path which will be partly excavated into the cliff face, steeply zig-zagging up the hill. There is scope to widen parts of this path to also provide seated resting points if there is desire from the community. 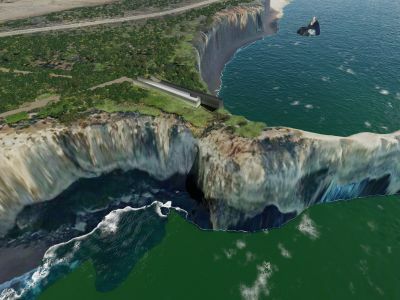 Shipwreck Coast Master Plan released. 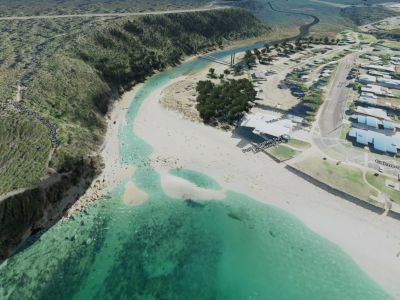 Victorian State Government funding of $9.8M for Stage One of the Shipwreck Coast Master Plan. Parks Victoria seeks public comment, with online engagement and community meetings, on concept designs for three infrastructure projects. Analyse community consultation results and report findings to the public. Design development and tender for build phase. 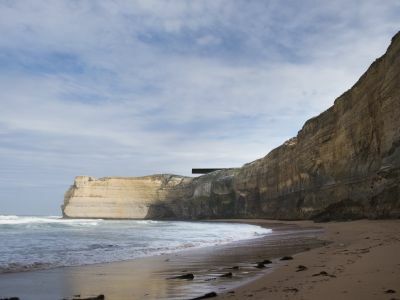 What is funded by the Victorian Government for the Shipwreck Coast Master Plan – Stage One? What are the expected benefits of the investment? How will the projects be rolled out? How long will they take? How can I have my say on the designs? Will I be able to visit the Twelve Apostles during construction? 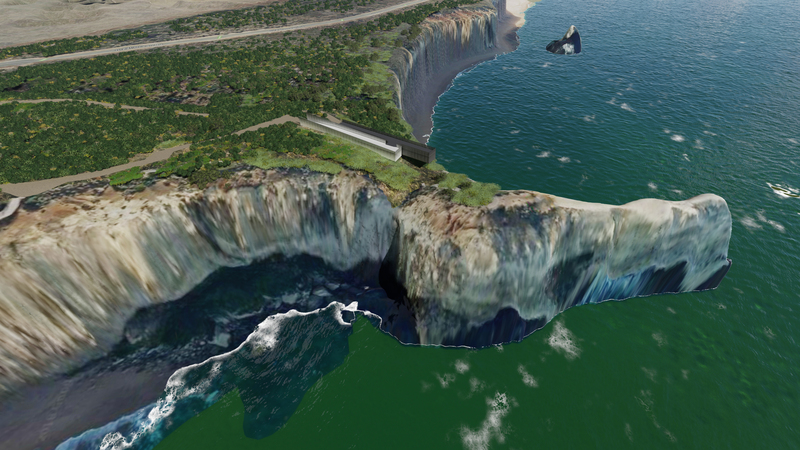 New world class lookout structures at the Twelve Apostles ‘Saddle’ and the Loch Ard Precinct’s ‘Blowhole’. A new pedestrian bridge over Campbells Creek in Port Campbell and new connecting trails. $14 million annual increase in visitor spend. The projects will be delivered by Parks Victoria, working with the Department of Environment, Land, Water and Planning. Detailed design on all projects has commenced, with construction anticipated to begin late 2018. Wi-fi and digital platform to be launched in June 2018. Delivery of all infrastructure projects to be completed by June 2020. Parks Victoria is seeking community and stakeholder feedback over four weeks commencing on Thursday 17 May and closing on Friday 15 June 2018. You can provide your feedback online or by attending a community workshop in Port Campbell on Thursday 17 or Saturday 19 May 2018. Access to the Twelve Apostles will remain open during the construction period. Parks Victoria will advise the community once work is scheduled as some walking tracks may need to be closed temporarily to allow works to be completed safely. Check the Parks Victoria website www.parks.vic.gov.au for the latest conditions.